A few days ago, Markus Naslund provided the Rangers with some cap relief by announcing his retirement. Signed to a 2 year contract, he decided only to stay for one. The game probably just wasn't the same for him. One could argue the same could be said for his last days in Vancouver that saw him given the cold shoulder from the management and many of the fans. While we hardly got to know Markus, he does deserve a proper send off and heres to hoping Vancouver does the right thing by him and gives him some sort of recognition for his time with them. What I did see of Naslund from the one season he was here, was that while he wasn't known as an aggressive guy, he did finish his checks and did make some good defensive plays in front of the net at good times. He scored his share of goals and made some quality assists for us and while some fans may point to his point totals and claim they didn't meet expectations, he was on par for what his averages were at this stage in his career. (Too often, we expect an aging vet or restoration project to come here flourish under the garden lights, walk on water and be our savior.) I thought he stepped up at key times in his role as alternate Capt. when it came to campaigning to the refs. (even more so than our actual captain)and even through down for the second time in his career. (ok, it was more like a shoving/wrestling match, but he was willing). The point is, the Naslund never showed that there was anything he was unwilling to do on this team for year he was here. As Ranger fans we should appreciate that. Good Luck Markus...Stay Classy. Naslund was a soldier. He worked hard day in and day out and we never heard any complaining from this guy. 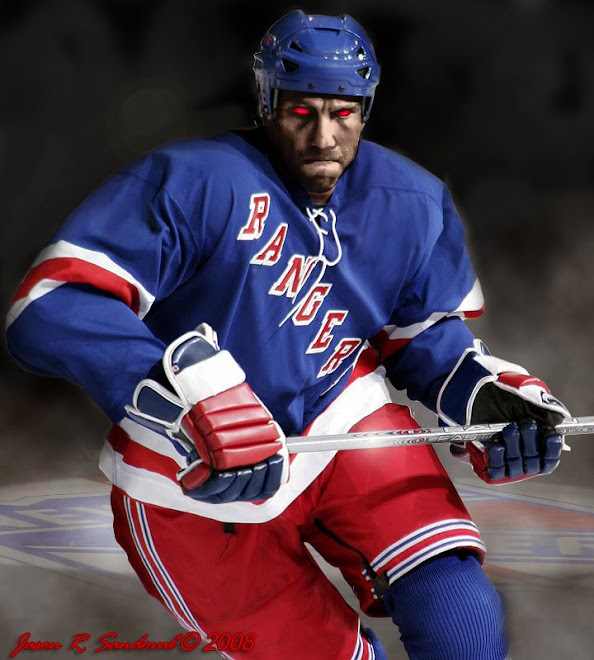 Its no secret why this guy was handed the "A" before suiting up one game as a Ranger. With all that was written about his demise he still lead our putrid offense in goals last year. A very classy individual that will be missed. All the best Markus!!!! 1) Have to give the guy credit for saving the team the choice of having to either buy him out or play another season. 2) Have to wonder though if he wasn't told that if he didn't retire that he would be riding busses in Hartford? Nice tribute, J. He did what was expected of him, including realizing that he just could not perform at the level he expected. 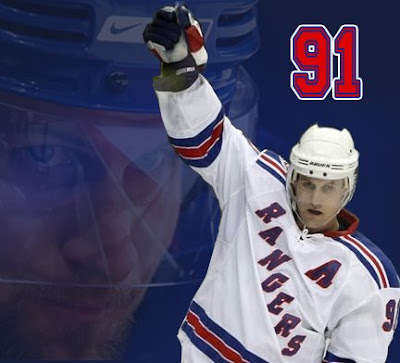 I'm gld we got to watch him play in Ranger blue for a season. And only one season.